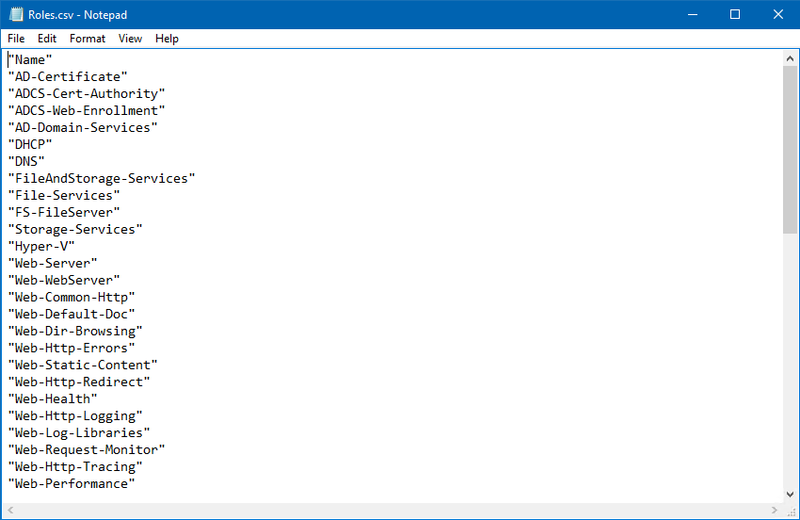 In this article, I’ll will explain how to export Windows Server 2016 and 2019 installed roles and features to a .CSV file with a PowerShell one-liner. This PowerShell one-liner can be very handy when deploying for example a Windows Container and porting the applications from a VM to a Container. If you be sure, just remove -WhatIf parameter.